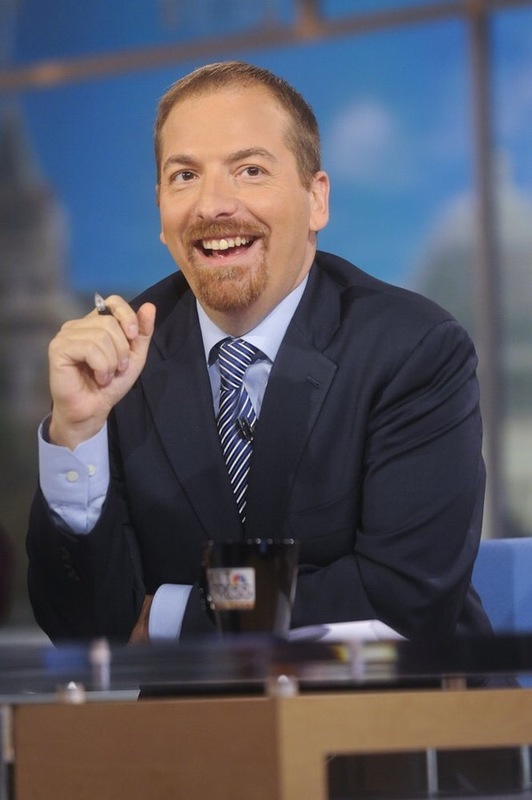 Mediaite’s Joe Concha reported Thursday morning that Chuck Todd would be returning to MSNBC for a new daily politics show. The show would be similar to his old program, The Daily Rundown, and he would continue to anchor Meet the Press on Sunday mornings. The set-up would be similar to CNN’s Jake Tapper, who anchors The Lead on weekdays and hosts State of the Union on Sunday. The new program will air at 5 PM, a hour after The Lead. At 5 PM ET, the newscast will air opposite other politically-focused programs on cable news, The Five and The Situation Room. However, The Daily Rundown continues to air and it is anchored by Jose Diaz-Balart. Since Todd’s departure, the show has expanded to two hours and relocated to Miami from Washington, D.C. The Ed Show currently airs in the timeslot. The Ed Show had been moved off to the weekends two years ago as the network tried to expand its weekend opinion programming. All In with Chris Hayes was then started in Schultz’s old timeslot. Hayes’s ratings have been largely lackluster since then. Schultz’s program was on the weekends for less than a year before being returned to weekdays, albeit in the 5 PM timeslot. The Mediaite report says that three straight hours of MSNBC programming are heading towards cancellation. The Cycle at 3 PM, Now with Alex Wagner at 4 PM, and The Ed Show. It is unknown at this time what would replace The Cycle and Now, although Concha said it would be a standard newscast. There was a staff meeting with Lack and MSNBC employees. No programming announcements were made, but Lack did float the idea of a name change, according to the New York Daily News. However, that idea did not go over well, so it was temporarily shelved. Numerous programming changes have come to MSNBC as chief Phil Griffin looks to jolt the ratings back up. Both Ronan Farrow and Joy-Ann Reid had their programs cancelled earlier in the year. The low-rated opinionated broadcasts were replaced by MSNBC Live with Thomas Roberts. The program is more traditional in being a straight newscast and focuses on breaking news. Although the program has not been a ratings success either. Brian Williams is also coming to the network next month when his suspension lifts. He will serve as the breaking news anchor, but a regularly scheduled newscast has not been ruled out. Concha said it is a possibility that Williams goes into The Cycle’s timeslot. That would pit him against Fox News’s breaking news anchor, Shepherd Smith, and CNN’s Brooke Baldwin, who has had several ratings victories recently. The network has been trying to re-emphasize breaking news. Griffin once caught flack for saying that MSNBC was “not the place” for breaking news. While he was criticized for it, the statement did reflect a reality of the ratings for MSNBC. When breaking news struck, viewers turned to Fox News and CNN. Now, however, the viewers seem to be sticking with CNN more and more even after the breaking news ends. This is also a return to roots for MSNBC. When MSNBC was started (as a partnership between NBC News and Microsoft), the focus was on breaking news and hard news. That strategy did not work well as viewers turned to the established CNN. The network then tried to out-Fox Fox News by offering programming with a right-wing slant. Eventually, the network found ratings success with Keith Olbermann and his criticisms of the Bush Administration. The network slowly moved to almost all liberal programming and a full embrace of it with the motto, Lean Forward.